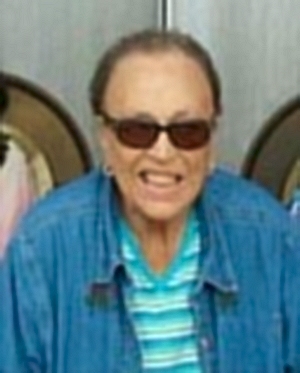 Obituary – Washington, Peggy Joan (Howell) « Perry High School Alumni Association, Inc.
Peggy Joan Washington, 79, passed from this life on Thursday, October 1, 2015 in Edmond surrounded by family. Arrangements have been entrusted to the care of Palmer Marler Funeral Home of Perry. A graveside service will be held at 2:00 pm on Monday, October 5, 2015 at Grace Hill Cemetery with Pastor Martin Foster officiating. A visitation will be held on Sunday, October 4, 2015 from 1pm to 6pm. Peggy was born on June 20, 1936 in Stillwater, OK to Herman “H.R.” and Edith Maye (Hughes) Howell. Peggy and her family moved to Perry, where she was raised. 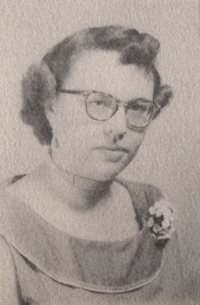 She attended school in Perry and graduated from Perry High School in 1954. After graduating, Peggy met the love of her life, Joseph Washington Jr. and they married in 1954. Peggy and Joseph wanted a family to call their own, so they had two children, Mark and Brenda. Peggy loved being a mother; she shared every moment with her children. Peggy’s true passion was cooking, especially for her family. She would spend hours in the kitchen whipping up all kinds of delicious foods. After her children grew up and moved out, she took her passion of cooking to others in the neighborhood and in the Perry Hospital. Peggy spent her free time at local garage sales, searching out turquoise jewelry and Native American artifacts. She was the rock of her family. She made sure they had everything they ever needed. Peggy loved spending time with her grandchildren, giving them advice and spoiling them as often as she could. Peggy was a loving wife, mother, and grandmother. She will be missed by all. Peggy is preceded in death by her husband, Joseph Washington Jr., and her parents. She is survived by two children, Mark Washington and wife, Iva Lee of Orlando, OK and Brenda Washington of Perry; two grandchildren, Scott Washington of El Reno and Shiloh Duncan and husband, Nicholas of Stillwater; two great grandchildren, Allison Washington and Joseph Duncan. Memorial donations can be made in Peggy’s name to the American Diabetes Association, in care of Palmer Marler Funeral Home, 203 E. Fir Perry, OK 73077.